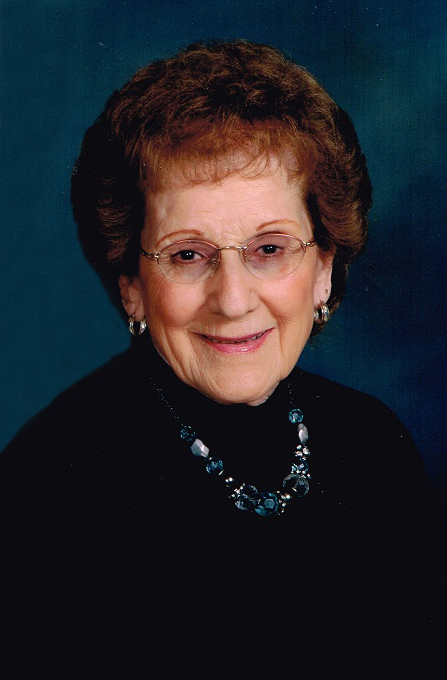 Betty Jean Rons, 88, of Arma, KS, passed away March 23rd, 2019 with her family by her side. She was born on July 12, 1930, in Cockerill, KS, the daughter of Lawrence and Julia (Pistotnik) Zibert. Betty graduated from Arma High School with the class of 1948. She was a near lifelong Arma resident. Betty worked as the food service director for Northeast USD 246 for twenty-seven years, retiring in 1998. She was a member of the St. Joseph Catholic Church in Arma, where she also served on the church council; and a member of the Arma American Legion Post 182. On April 28, 1951, Betty was united in marriage with Wallace “Wally” Rons at the St. Joseph Catholic Church in Arma. He survives of the home. She is also survived by her daughter, Cindy Ashmore and husband Dave of Arma; son, Barry Rons and wife Joy of St. Johns, Michigan; brother, Bill Zibert and wife Carole of Arma; four grandchildren, Blayne Rons and wife Teresa of Lyons, Kansas, Dustin Ashmore and his significant other Trina Ysusi of Frontenac, Heather Ashmore and fiancé Kyle Tedlock of Arma, and Chase Rons and wife Allison, of Frontenac; two great-grandchildren, Landon Hege and Brayden Rons. She is preceded in death by her parents; brother, Sonny Zibert; sister, Evelyn Terlip and a great-grandson, Canaan Rons. The family gives special thanks for the loving care provided by Barbara, Crystal, Kourtney, Michele, and Cinda. A Funeral Mass will be 10am Wednesday, March 27th, 2019 at St. Joseph Catholic Church, Arma, with Father Floyd McKinney officiating. Burial will be at Garden of Memories. Visitation will be from 6:00 pm until 8:00 pm, Tuesday, March 26, 2019 at Bedene Funeral Home, Arma. A Parish Rosary will be said at 6:00 pm. Memorials may be given to St. Ann’s Altar Society and Avalon Hospice in care of Bedene Funeral Home, Arma, Kansas.